Abies, Environmental Resources Inc., is a company dedicated to environmental consultancy since the year 2008. However, our group has seven years of accumulated experience in different environmental areas. Team and collaborators develop a multidisciplinary work that achieves a high level of quality in the services offered, insured through a series of specific contractual guarantees. While Abies, Environmental Resources Inc., conducts its work throughout the peninsula, most of our experience is concentrated in the autonomous regions of La Rioja, Castilla y Leon, Basque Country and Navarra. Since its founding, Abies, Environmental Resources Inc., has formed a multidisciplinary team that solves any prospect posed by private enterprise or by the Administration. The team No ARA-2007110026 formed by two Biological Scientists, an Environmental Scientist and an Agricultural specialist, is approved by Castilla y Leon to carry out the preparation of Environmental Impact Studies under current legislation. 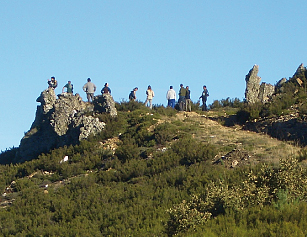 Abies, Environmental Resources Inc., collaborates with various engineering techniques, accredited laboratories and the association of Environmental Professionals of La Rioja, thus offering complete and integrated solutions at all levels.